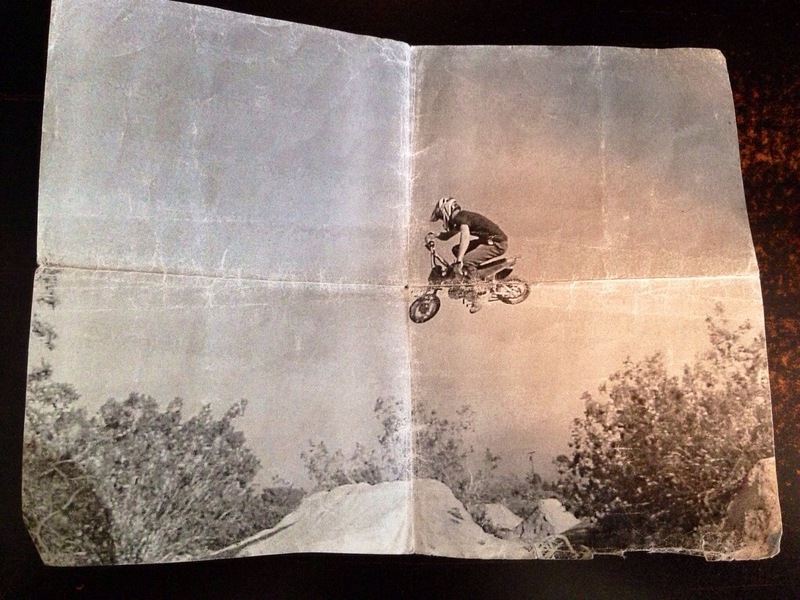 I was digging through some boxes in my office closet, and came across some old pictures of me riding my old Honda 50 pit bike. 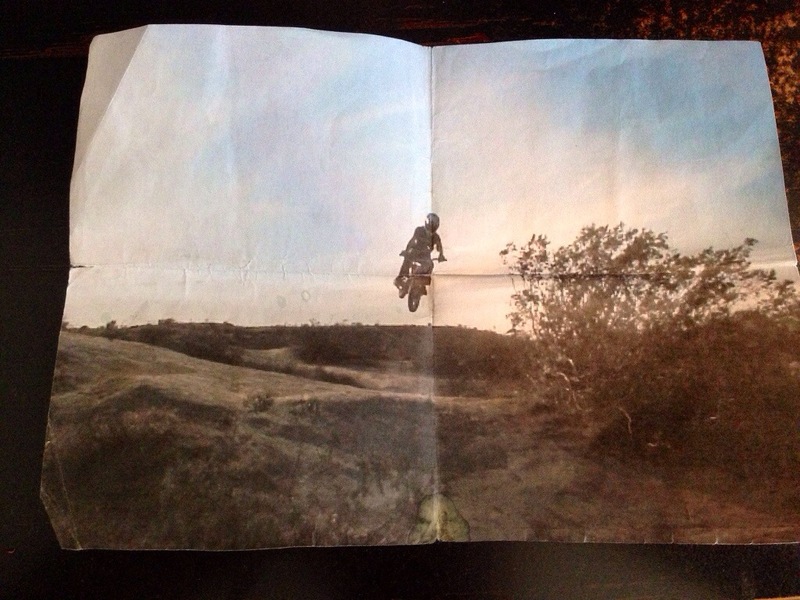 Out of all my years of riding dirtbikes, dirt jumping bicycles, and riding pit bikes, these 3 pictures are pretty much the only ones I have. They are printed on paper, and are pretty tore up, I better frame these babies. 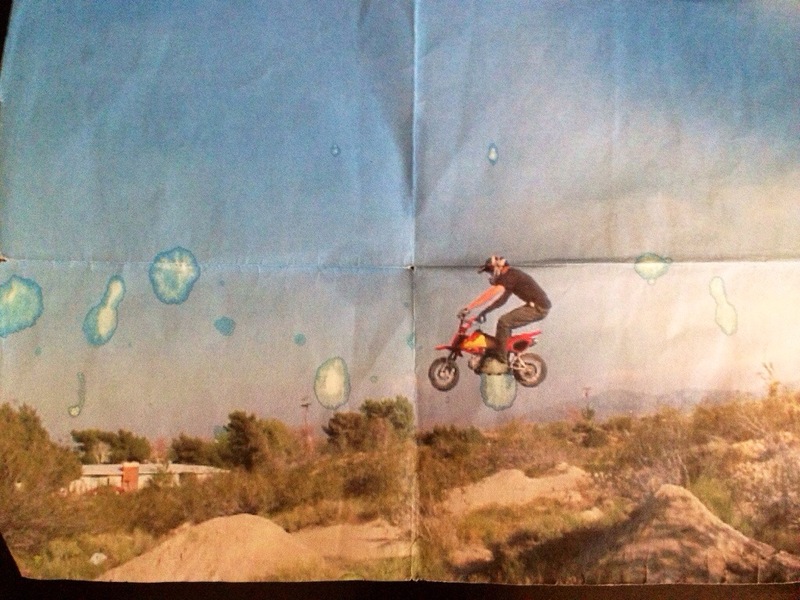 I used to ride my Bmx bike and my 50 at these pretty awesome jumps in Palmdale, CA. They had really cool rhythm sections, huge step ups, and and awesome peaked out hip. Downfall was the dirt was HARD!!!! I over jumped a jump there on my 50 and choppered the frame so bad the front of the motor dragged the ground. I got a sweet chromoly frame after that though. I have some great memories of that place and that bike. Sad to say, that whole place was flattened about 8 years ago. Punk kids wouldn’t respect the homes near by. Tip to all you kids, respect peoples property and be grateful for what you have. If you are blessed enough to have trails to ride, respect them and enjoy them.